If chronic neck pain is interfering with your job or personal life, John Regan, MD, can help. 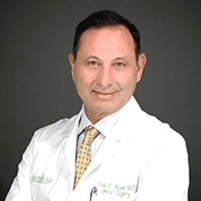 At Spine Group Beverly Hills, located in Beverly Hills and Santa Monica, California, Dr. Regan specializes in innovative treatments to relieve pressure in your neck and eliminate chronic neck pain. To learn more about treatment options for chronic neck pain, schedule a consultation online or by calling the office directly. Neck pain that lasts for several days without relief or causes severe pain that spreads to your arms and legs can indicate something serious. You should seek medical attention as soon as possible for a proper diagnosis. What are the symptoms related to neck pain? You may experience pain that gets worse when you move your head in a certain direction. Your neck muscles may feel tight and may spasm at times. In addition to feeling persistent pain in your neck, you may also develop headaches and muscle aches in your shoulders and other areas of your body. Initially, Dr. Regan reviews your medical history and performs a physical exam. He evaluates your muscles for tenderness and muscle weakness and may ask you to do certain movements to determine your range of motion. Dr. Regan can also order imaging tests like X-rays, CT scans, or an MRI to take a closer look at the internal structures of your neck. Initially, Dr. Regan may recommend physical therapy to improve the flexibility and strength of your neck muscles. You may also need to use heat or ice therapy at home to reduce pain and muscle soreness. To relieve pressure in your neck joints, Dr. Regan may recommend the use of a collar that limits your ability to move your neck. He may also suggest steroid injections to address joint pain from conditions like osteoarthritis. Numbing injections can reduce muscle pain in your neck. In some cases — especially for neck injuries stemming from car accidents or falls — Dr. Regan may need to perform surgery to reduce compression on the nerves in your neck. He may also suggest minimally invasive surgery to repair herniated or ruptured discs in your neck. Don’t live with chronic neck pain any longer. Schedule a consultation online or by calling Dr. Regan’s Beverly Hills office directly.